Warmth and protection for chores and more. Designed to help military personnel survive against the flash of high heat and flame from an improvised explosive. 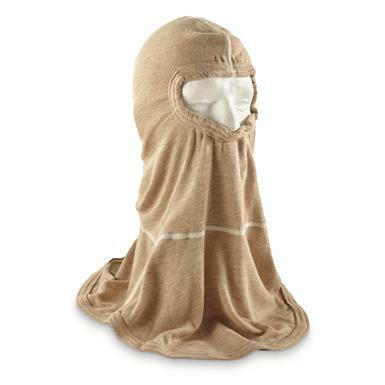 In the civilian world, these Hoods help keep chills off your face during winter ops. Not to mention protection from sparks and sources of heat around your ice house, welder or portable heater. Made to strict U.S. military specs. You get 3 Hoods, for 1 low surplus price! UL certified and are compliant to meet the NFPA 1971-2007 standard of performance (Protective Ensembles for Structural Fire Fighting and Proximity Fire Fighting, 2007 Edition). 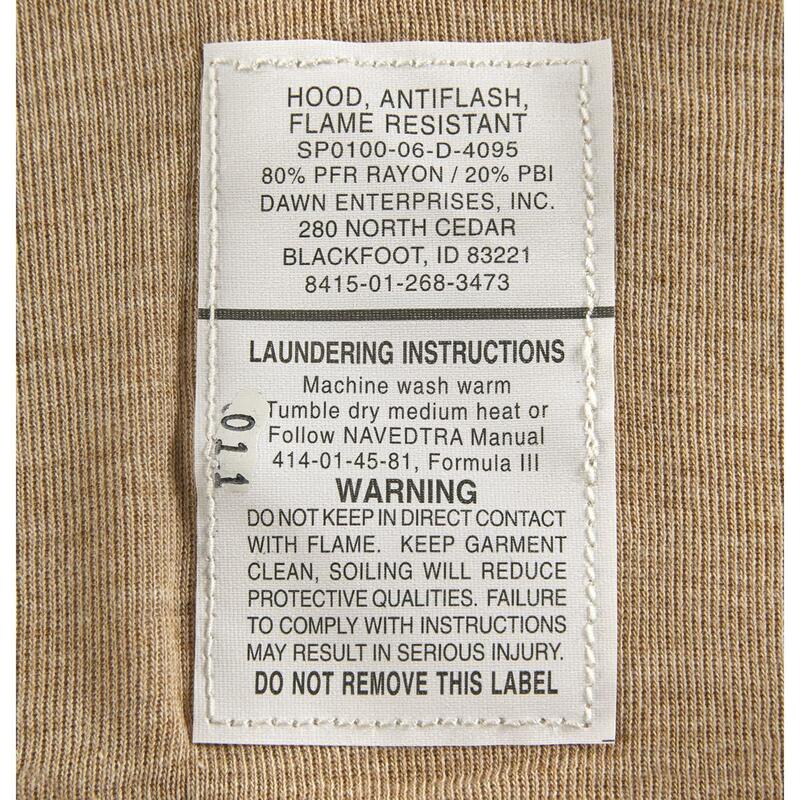 Hoods also comply with the Cal/OSHA standards.